Size of this preview: 583 × 599 pixels. Other resolutions: 234 × 240 pixels | 650 × 668 pixels. A City 17 gloomy street. The mural on the building appears to be based on the Soviet "My factory – my pride" propaganda poster. Picture of the building that was used for inspiration, located at Jindřišská 972/26, Prague. 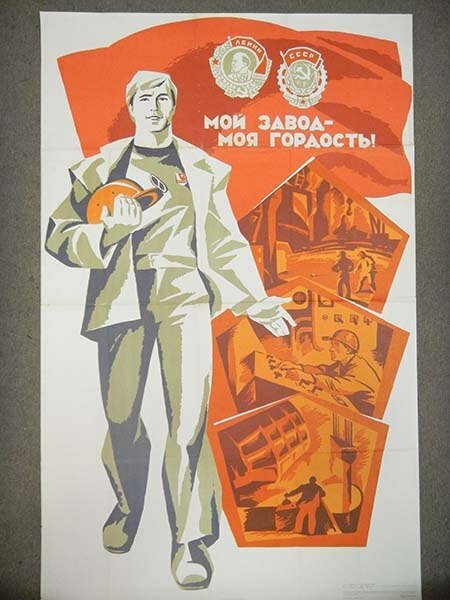 1975 Soviet propaganda poster titled "My factory is my pride" used as the basis for the wall ad.